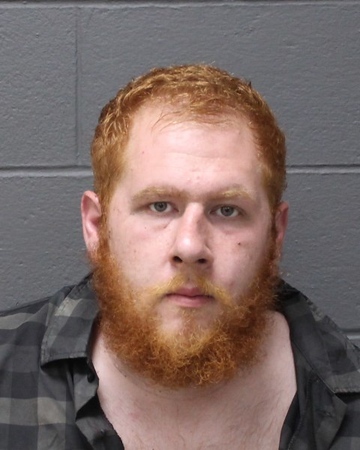 SOUTHINGTON - A Plantsville man was arrested by local police over the weekend for allegedly assaulting an elderly person. Jason Bednarz, 27, faces domestic violence charges of third-degree assault on an elderly person, possession of drug paraphernalia, possession of a controlled substance and disorderly conduct. The charges stem from an incident at his home on Saturday, police said Wednesday. Police said Bednarz had an argument with the victim after the 66-year-old found him sleeping in a family vehicle with suspected crack cocaine and a glass smoking pipe. The argument escalated to a physical altercation, at which time police allege that Bednarz punched and kicked the victim while the 66-year-old was on the ground. According to police, the victim suffered minor injuries and declined medical treatment. No further information was released about the complainant, as state laws prohibit a domestic violence victim’s identity from being released. Police said Bednarz was arrested without incident. He is free on $10,000 bond and is expected to appear in Bristol Superior Court next month. Posted in New Britain Herald, Southington Herald on Wednesday, 22 August 2018 17:11. Updated: Wednesday, 22 August 2018 17:13.